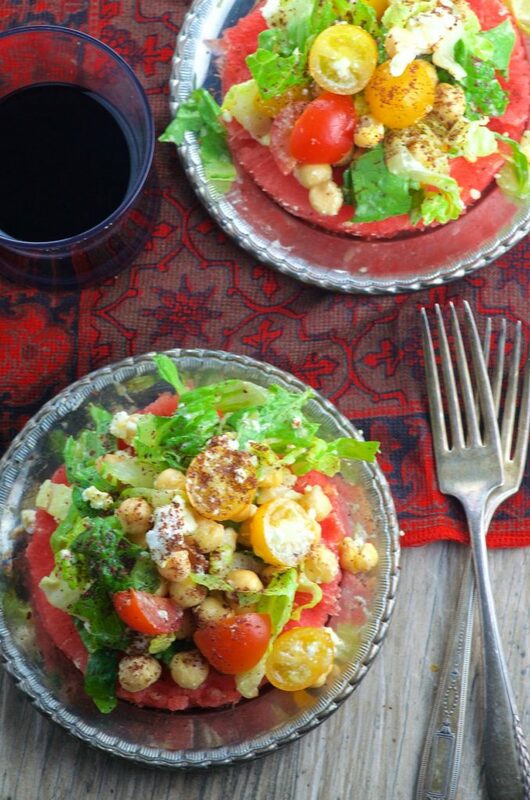 A warm night, a balcony overlooking the Mediterranean, and a big bowl of watermelon with feta cheese: if we had to take a guess, that would be our mom’s definition of the perfect summer dinner. If you’ve never tasted watermelon and feta together before, it may sound like a strange combination. But give it a taste, and you will certainly be hooked. The sweetness of the juicy watermelon meets the rich, salty feta creating an explosion of flavor on every perfect bite. 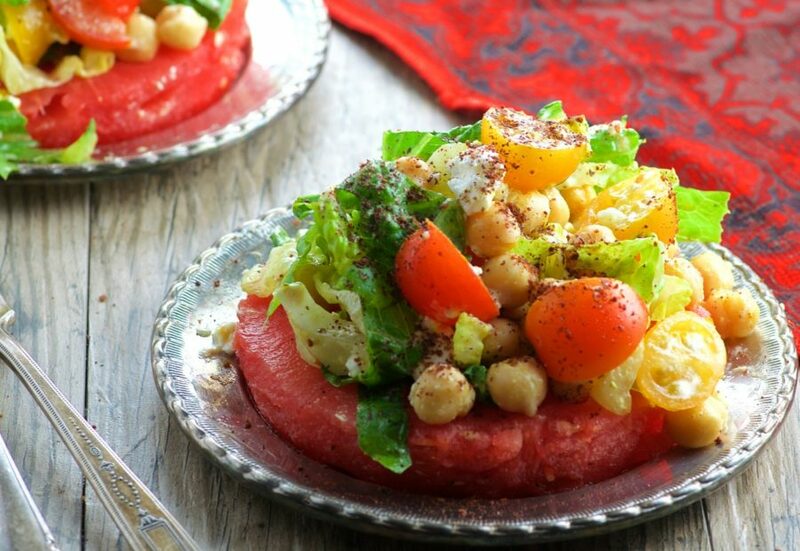 Inspired by the traditional Israeli watermelon salad, we created this recipe incorporating protein rich chickpeas, greens, and sweet tomatoes beautifully arranged on top of a thick, slice of watermelon. All drizzled with a tangy lemon, mustard and olive oil dressing. A light, refreshing addition to a summer brunch, lunch or light dinner! Slice the watermelon into four 1/2 inch rounds and remove the rind. Place the rest of the salad ingredients in a large bowl. Whisk all dressing ingredients together until well incorporated. Add dressing to salad and toss well.